In our last episode of season three, on dance and value, Jana and Beth are back in the studio together, this time joined by co-host Audrey Schmidt, to talk with choreographer Matthew Day about affect, physical touch, and how we can be queer outside of queer theory. Matthew is one of the most interesting among the younger generation of Australian choreographers, appearing seemingly out of nowhere at Next Wave 2010 with THOUSANDS, a work of fully formed brilliance which would later form part of his Trilogy series. 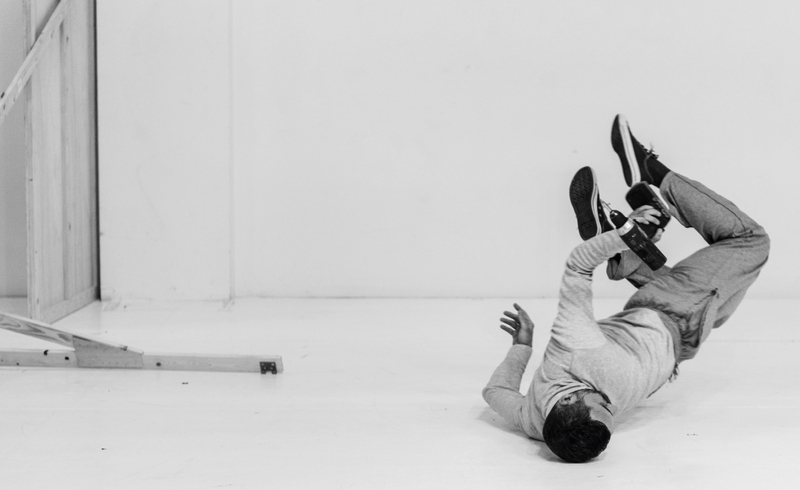 He has recently completed a Masters of Choreography at the DAS Graduate School in Amsterdam, and is about to present his new work, ASSEMBLAGE #1, as part of his Housemate residency at Dancehouse. Whoever has seen the Trilogy series – described as “a suite of visceral eviscerating works” of searing minimalism – would find it hard to imagine that, as a teenager, Matthew was a ballroom dancing champion. Audrey Schmidt is a writer, curator and editor of contemporary art publication Dissect Journal. Her continuing research focuses on contemporary art, gender, biopolitics and identity in late capitalism, and her writing about Australian queer art has underpinned this series. Matthew Day has been another person that we’ve been wanting to speak with for a long time. His Trilogy series is one of the most extraordinary choreographic works to have come out of Australia: there is something profoundly new about it, a felt embodied-ness, an authenticity of affect that it brings to the audience experience, a sense of space and naked togetherness. It is not European. It is not American. It could never be. It is Australian and queer and somehow it can only be those two things together. We came together to speak about how choreography can be queer, but looking at it through Matthew’s work meant that we had to go to the felt experience of being individual, of being a subject, letting categories behind – because, if there is one thing that Matthew does as an artist, it is to restore a sense of radical subjectivity to us all. THOUSANDS making audience members nauseous, Judith Halberstam, the uniform of ballroom dancing, a whole lot of Deleuze, the queer education of the street, ‘the revolution’, Sara Ahmed, what the body can do in late capitalism, micro-identifying hyper-identities, is it queer if it isn’t representational?, how doing nothing is sometimes doing something, and capital-P Politics in the art. Dissect Journal: Issue 3 – Biopolitics (upcoming), 2016.